Achieve Escambia has the data, now what? 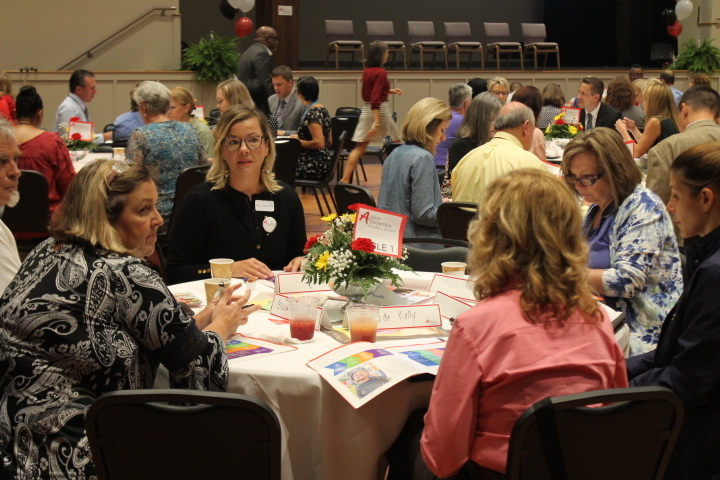 Achieve Escambia is a voluntary network of organizations and groups working across all 656 square miles of Escambia County. Our bold goal is to break all records of success in the education of children, youth and adults from the time they are born until they are successfully employed. How do we do this? How do we improve outcomes, not just for a specific group of individuals, but for the entire population across all ages and through the course of life? This is where data comes in. It may not sound exciting, but acknowledging the complexity of a community is a critical first step in changing a life. At Achieve Escambia, we embrace the use of data in three ways: to power the work ahead; to hold each other accountable for the long-term performance and impact of our efforts; and to bring visibility to where we are as a community compared to the state of Florida and the U.S.
On August 22, Achieve Escambia embarked on a journey to use data as a launching pad to improve conditions and outcomes for local children and families. By publishing our 24-page baseline report and launching achievedashboard.org, we are de-siloing data, linking data across the cradle to career pipeline, and unlocking a treasure trove of insights. Now that we have the data, what do we do next? First, we start talking about. This involves creating a grassroots, cross-sector approach to community change based on problem-solving, learning, discovery and continuous improvement. The benefit of data is its ability to incite action. Once you know that only 66% of Escambia County children are ready for kindergarten, you can’t not know. Our goal is to take that knowledge a few steps further by building our collective capacity to do something about it. What good is raising awareness if we can’t help a 4-year-old learn their ABCs? Second, we connect people, programs and providers in a system of shared accountability and agreement on the road toward sustainable and scalable practices. That means harnessing human capital to reverse course and become a vibrant community for all. Achieve Escambia is a community-wide effort to keep children, youth and adults on the path to labor force participation. It is heart and soul work that will involve engaging the most powerful and the least powerful to talk, work together and create solutions that are appropriate, compatible, quantifiable and here to stay. We can do this. Our community is blessed with hardworking and dedicated local government officials and staff, businesses, philanthropic organizations, housing and social service providers, faith groups, higher education leaders and residents who care. The next step is to collectively move from empathy to ownership. Our baseline report and online dashboard are now LIVE!